We’ve always enjoyed Bona’s music with its bright horns, driving percussion, smooth sounds, soulful vocals, and African culture all mixed together beautifully. For Heritage, Bona’s eighth solo album, he collaborated with Mandekan Cuban, an Afro-Cuban band. This album explores the history of Afro-Cuban music. As you listen, you’ll feel as though you’ve been on an auditory journey from the Mali Empire to the streets of Havana. 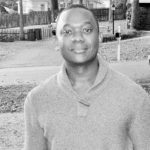 Though his vocals and musicianship are indisputable, Bona’s true talent is in his ability to tell a story through music. In an age where albums are rarely listened to in their entirety, spending 40 minutes listening to Heritage from beginning to end is well worth your time. Storytelling aside, the album is easy on the ears. Some of the tracks are energetic, with an irresistible beat that’s sure to get you off the chair and out onto the dance floor. Others are softer and smoother, giving you time to catch your breath and think about the messages being conveyed. 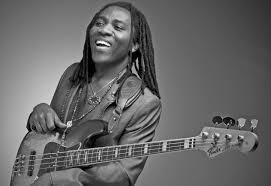 Whether you’re interested in African or Cuban music, or are simply a jazz or world music fan, you may want to join us in listening to Richard Bona’s Heritage this week.